Do you dream of owning your own business? Do you imagine yourself performing on Broadway? Do you see yourself making significant contributions in the fight against cancer? Sounds like you’re ready to Make it Millikin. 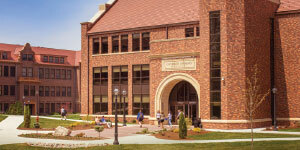 • 99% of Millikin graduates gain employment or enter graduate or professional school within six months of graduation. • 87% of Millikin graduates secure careers within their field of study. • $39.5 million in financial aid is awarded to 99% of our students each year. Experience Millikin for yourself! Take a virtual tour inside our classrooms, labs, workshops, performance spaces, and residence halls at millikin.edu/tour. Enroll in one of our Campus Visit Days or arrange an individual visit for you and your family. 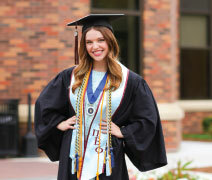 Students spend three years earning a Millikin degree in Biology, Chemistry, Mathematics, or Physics and earn a second degree from Washington University or University of Missouri-Kansas City. 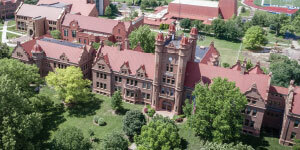 Millikin University is home to Performance Learning, an approach to education that begins in the classroom, moves to the field with real-life work experiences, and culminates in a prestigious degree and lifelong connection with our community of support and professional resources. Our student-run businesses, born from our innovative Center for Entrepreneurship; a nationally recognized School of Music; a robust athletics program; and opportunities for international study make ours a university of distinction. The result? Millikin has been named the top university in Illinois for job placement following graduation, according to career guidance site Zippia. Our academic programs, housing options, campus life, athletics, scholarships, and financial aid opportunities are the reasons more students than ever before applied to Millikin for the 2018–2019 school year.